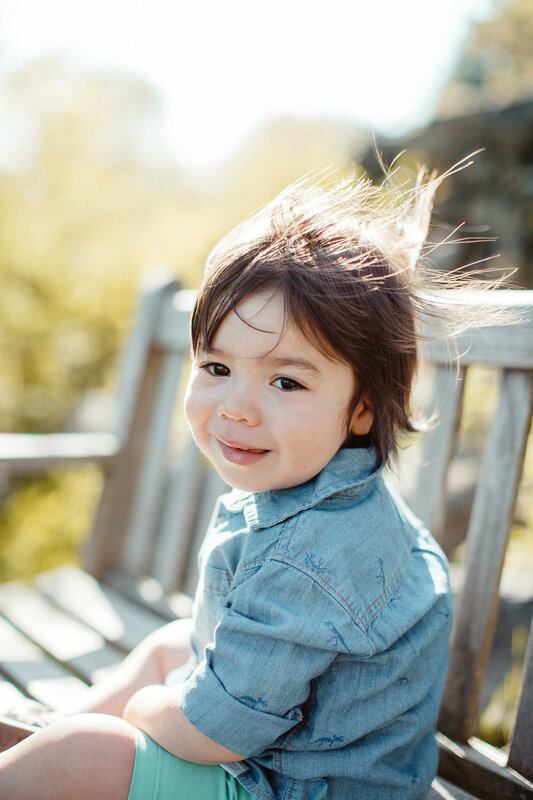 We had the most beautiful spring here west of Boston, and both the families that I photographed and I were so happy to be outside after so many months of winter! I wanted to share with you a few of the photos that I took of local families this past spring. The blossoms were gorgeous and we were so lucky to capture them in bloom. We thought we were going to get rain during this sweet family's session. It had been coming down all day long. I'd even gone out to try to find a cute umbrella for them, to no avail! Amazingly, the rain stopped for exactly the length of our time together. As soon as they got back in the car, it started coming down again. We were so lucky! The day that we took these photos in Waltham, it was spring but it felt more like summer. This cutie pie became fixated on the dandelions. He was happy to have a huge field to run and play in, and I was thrilled to have the chance to capture his free spirit. 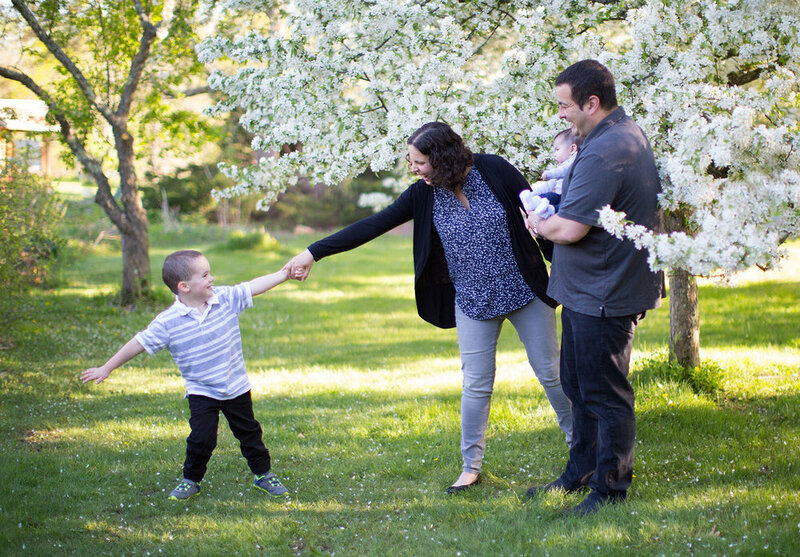 On another warm spring day, we took this fashionable family's photos at the Acton Arboretum. The Arboretum is absolutely filled with beautiful spots for photos. I love when families bring a few ideas of their own, like sunnies! Little Valencia is obsessed with them and she really knew how to rock her own mini pair of shades. Oh, the blossom trees! Why do they only last for a couple of weeks? I wish they would stick around for months longer. But the fact that they're so ephemeral does make them especially magical to capture. I had so much fun with this family! They were full of humor and laughter, and I even got to capture a couple of mom and dad alone. I love the way they look at each other, and I especially love the way they make each other laugh. And last but certainly not least is this red headed duo! This little lady absolutely adores her mama, and we had such a blast getting her to giggle under the blossoming trees. Springtime went by too quickly! All that being said, it was one for the books. I'm loving the photos that I've been able to capture this summer and can't wait to share them with you soon.